The wreath. It is such a beautiful decoration with so much history. 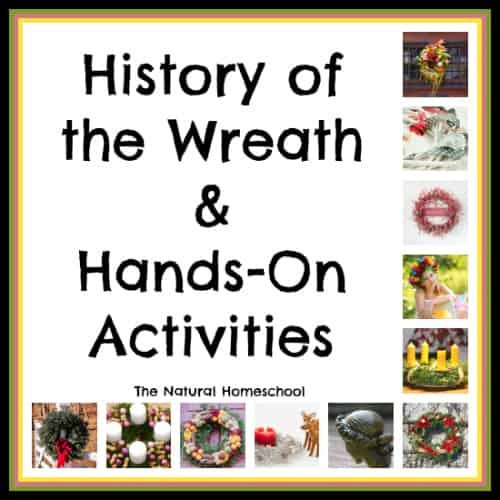 In this post, you will see what we learned about the history of the wreath and we made a lot of really fun wreaths. 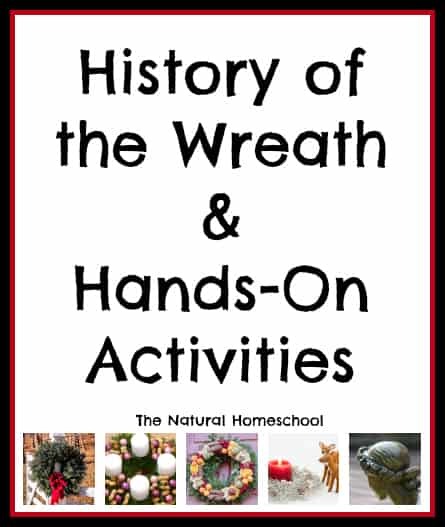 Take a look at all the fun we had and at how much we learned about the wreath. It really made us see them differently and appreciate them even more. The ancient Romans began hanging wreaths on their doors. The wreaths weren’t simply beautiful decorations, but they were signs of victory and prosperity, according to that family’s status in their society. Women loved wearing wreaths in their hair on special occasions and celebrations. The Greeks wore wreath on their heads, too. Many times, wreaths were given as trophies or prizes for winning at competitions and games. Think back about the Olympics and how the laurel wreath is still used as a symbol. In Christian circles, some wreaths are used to celebrate Advent, including special-colored candles. And some Christians see Christmas wreaths as symbols of Christ’s eternal love for coming down to earth on Christmas Day. 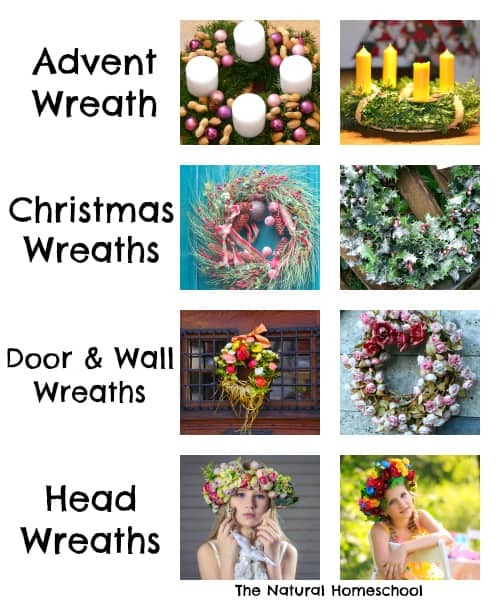 As you can see, we studied a lot about the origins of wreaths and different uses for them. It is now time for some fun! 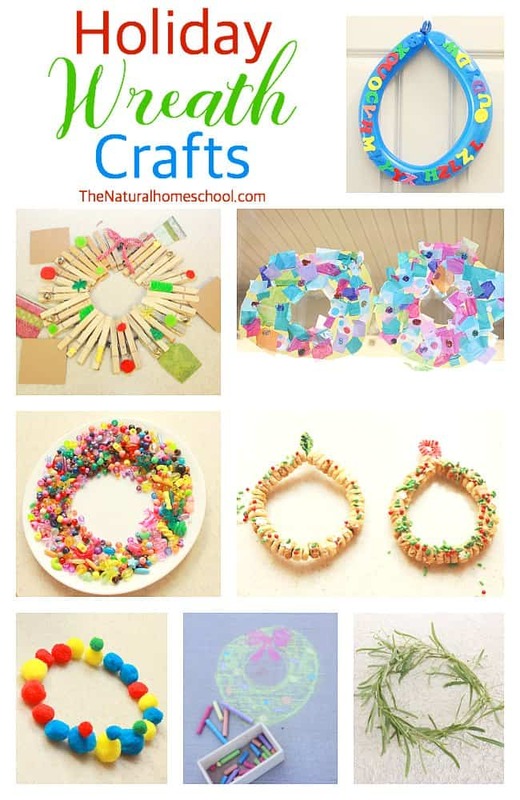 Let’s do some hands-on activities to get creative and make our own wreaths! 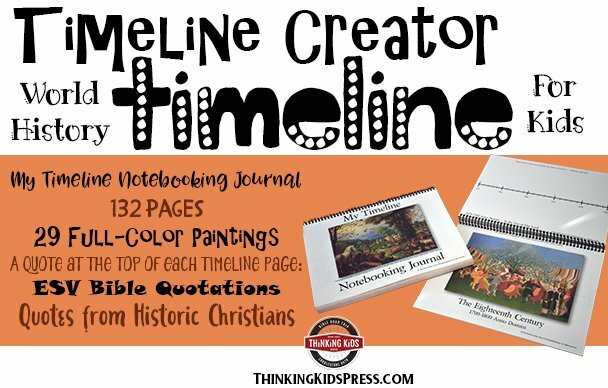 Take a look and hopefully, you will want to make some with your little ones. Aren’t these adorable? And they are as easy as they come, too. We only used one long balloon for each child and foam letter stickers (the more, the better). One of my children wanted to spell “Merry Christmas.” It was fun hunting for the letters we needed in the big pile of letters. When I blew up the balloon with the little hand air pump, I left some of it deflated. Once I tied the knot to make a circle, I tied another knot with the deflated part to create a loop. This loop is what we used to hang them up. It was so simple. For this wreath, we needed a dish, a small bowl, assorted beads and a lot of patience. Even though this was a quick and super fun craft, we needed to practice dexterity and hand control. First, we placed the small bowl upside down, right in the center. With one hand, the child holds the bowl in place, gently, but firmly. 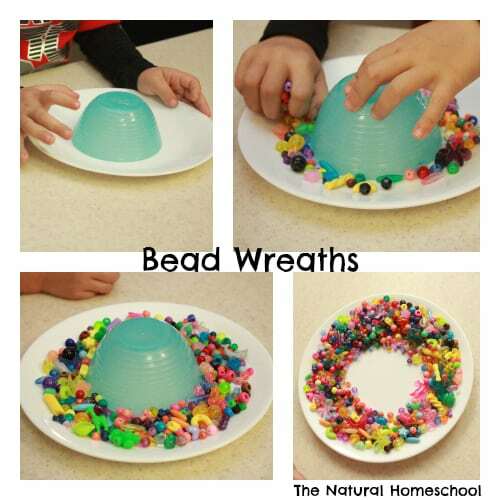 With the dominant hand, the child will carefully take handfuls of beads and place the beads around the bowl. Be sure to not move the bowl and that no beads go underneath the bowl. Continue pouring the beads, carefully, around the bowl. Once you feel that you have a pretty nice wreath, be very careful to lift the bowl off. Some beads might still bounce toward the center, but most should stay in place, if the bowl is lifted very, very slowly. Voilá! So beautiful! If you wish, you can actually do this on parchment or wax paper, add a thick layer of white or tacky glue at the bottom before adding the beads. Let it dry. Once completely dry (overnight, perhaps), you can remove the bowl, remove the extra beads that didn’t stick and cut the excess wax paper around and in the middle of the wreath. It will look so lovely! This wreath was super fun! We used pipe cleaners, “o”s cereal, peanut butter and Christmas sugar sprinkles. My children practiced their eye-hand coordination to put in all the “o”s on the pipe cleaners. They left some slack at the ends. I helped them make a loop so we could hang them up. Next, they used a spreader to put some peanut butter on the front of the wreath. Since peanut butter is sticky, the Christmas sugar shapes stuck on easily. And that was it! 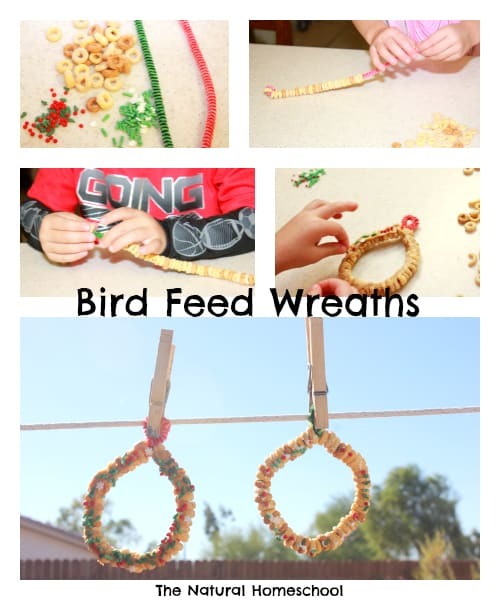 We hung them up outside with some wooden clothespins for the birds to enjoy. 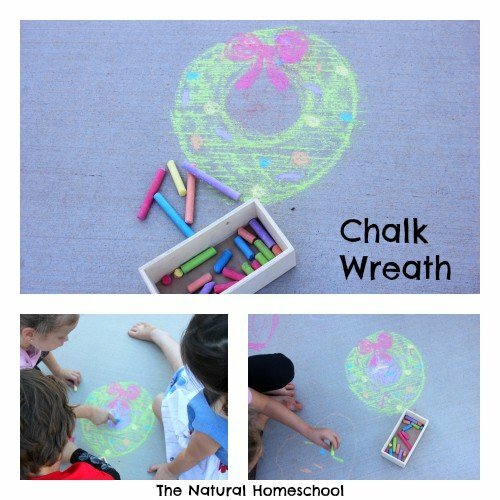 All you need for this wreath is colorful chalk, a sidewalk and a few children. I helped them draw the big circle then my oldest drew the smaller circle. My youngest and our little neighbor helped fill in the wreath with green chalk. Next, they each picked a chalk in their favorite color and took turns drawing decorations on it. 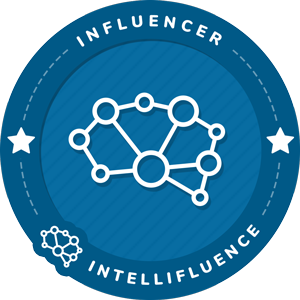 Most of them drew circles to signify ornaments. And at the end, I helped them draw the bow and they filled it in. They all went “ohhh!” and “ahhh!” because they loved it. This wreath is super cool. 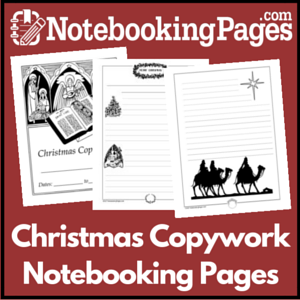 You can use it as a beautiful decoration and as a Christmas card display. All you need is a wire hanger or two pipe cleaners, a couple dozen wooden clothespins and small decorations (pompoms, beads, glitter, jingle bells, etc). We decided to go with a natural wood for the clothespins and a festive Christmas theme for the decorations. We plan on hanging some of the Christmas cards we get from family and friends on it. But you can decide to paint the clothespins in any color and decorate it with a birthday theme or your child’s bedroom colors to match. It would be fun to use it to leave random sweet notes to your children or to hang all the birthday cards on this fun wreath. 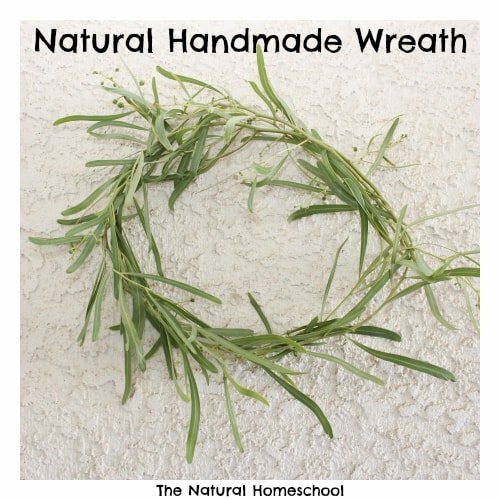 This is the simplest and one of the most beautiful wreaths of all (in my humble opinion). It is easy and free. 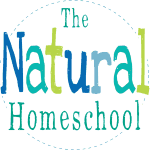 It is natural and very organic. It is a wreath made out of real branches. A tree on our front yard has long and bendy branches that hang low (it almost reminds me of the willow). I cut a couple of the branches and modeled for my children the “weaving” of the branches to make a circle and keep them in place. They tried their own and were so excited when the branches were looking more like wreaths. We didn’t fill it up too much, as to not use many branches, but you can make it as simplistic or as ornate as you want to. You can also decide to use a garland (real or fake) or holly with the beautiful red berries on it. Wouldn’t it look beautiful? I am showing you a picture of the simplest wreath one can make and yes, it is made by a child, but you can add a few details or even ornaments made out of wood. My children enjoyed making these wreaths. The only items we needed were colorful pom poms. That’s it! 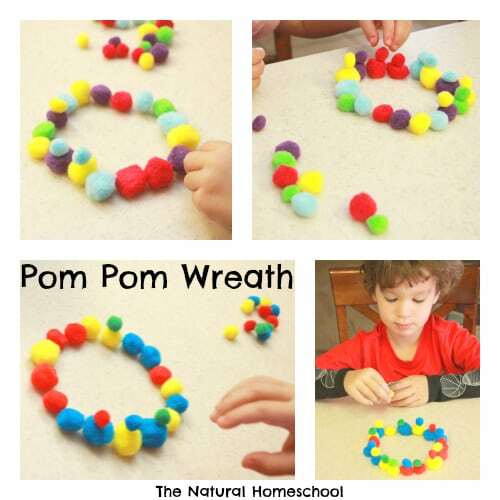 They practiced their fine motor skills and their eye-hand coordination to make circles out of the bigger pom poms. The smaller pom poms were used as decorations, on top of the bigger ones. They tried making these several times and even began making patterns and trading pom poms to create the look they wanted. 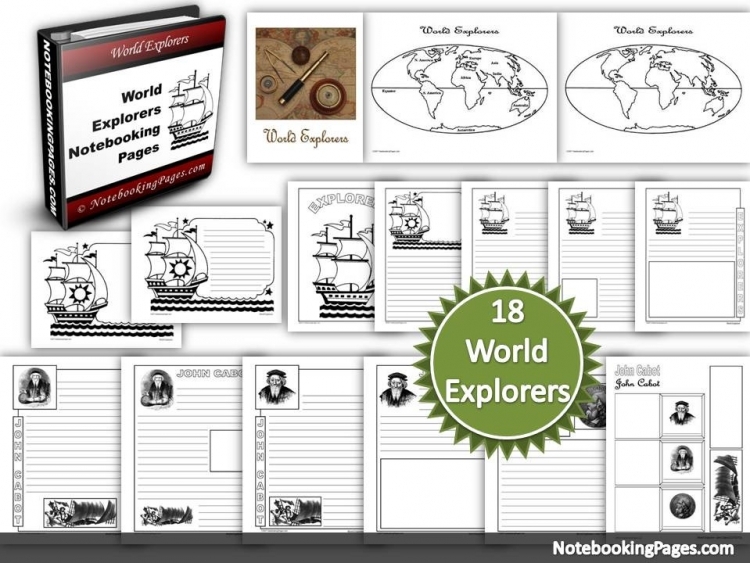 It was so neat to sit back and let their imagination run wild. 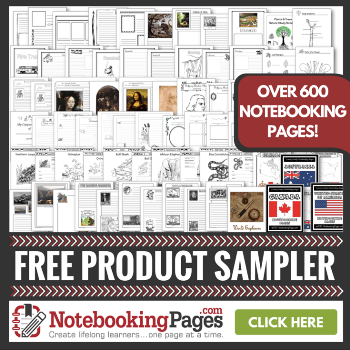 I know, it is so simple and yet, they are learning so much! This wreath was cool to make. 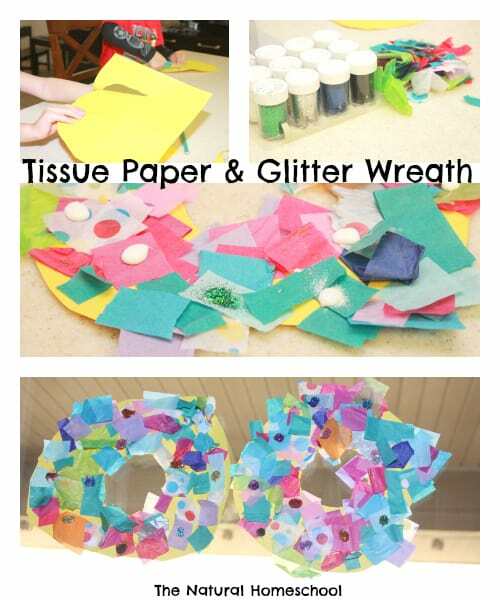 You need one piece of construction paper for each child, scissors, white or tacky glue, tissue paper in different colors and designs and glitter in assorted colors as well. My children traced and then cut circles out of yellow construction paper to make the wreath. Next, they cut small pieces of tissue paper to randomly glue on the yellow wreath. Once the tissue paper was dry and well-glued to the paper wreath, they poured blobs of tacky glue all over the wreaths (about 12 blobs) and then poured some glitter on each blob. When they were completely dry, we taped them to our glass door using double-sided tape. They turned out great! 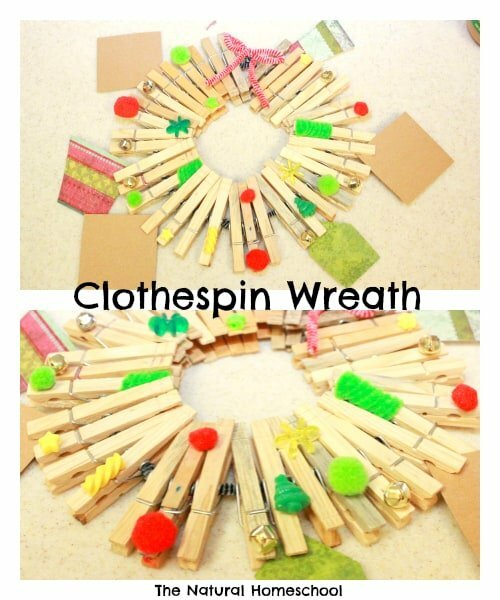 Here is one last activity to make wreaths. 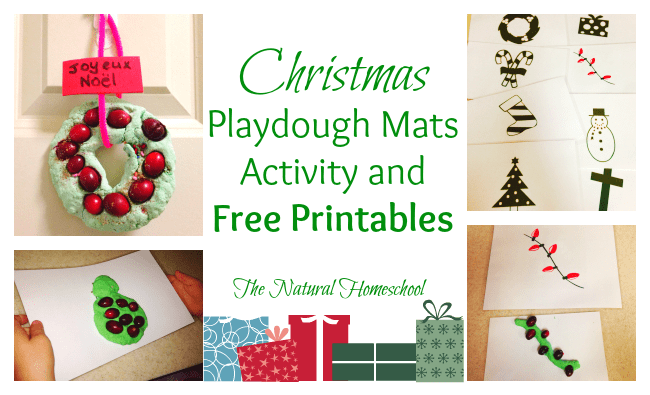 This one uses playdough and a playdough mat. 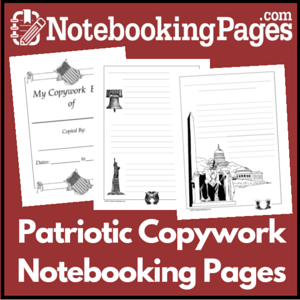 The free printable is there for you to use, too. 😉 In this post, we made wreaths using homemade playdough and real cranberries. 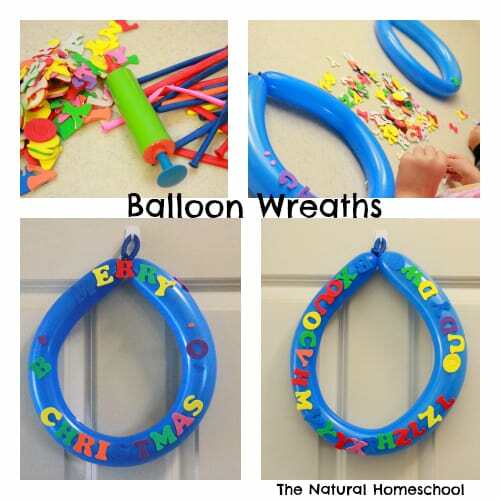 Love the balloon wreath idea!